Los Angeles was founded in 1781 and today has grown into the nation’s second most populous city. And while residential homes in the city aren’t as old as the city itself, there are still plenty of homes that could use some tender loving care. If your home is beginning to feel a little dated or seems like it’s falling apart bit by bit, the time to remodel has probably arrived. One of the first rooms you should choose to renovate will always be the kitchen, and giving yourself a great kitchen can totally change your home in ways you can’t even imagine. However, kitchen remodeling Los Angeles isn’t something that you should assume is a ‘do it yourself’ kind of job. You need to trust the pros. That’s because there’s a lot more to it than just moving in some new appliances. 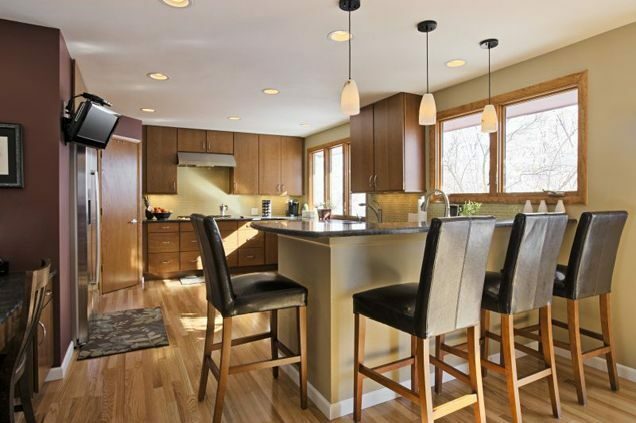 For example, a major remodel in the kitchen will usually involve floors, wall coverings, electrical work, plumbing, cabinet installation, countertops, and more. That’s a lot of very specialized areas of work for a homeowner to try to tackle on their own and in many cases you could do more damage to your home than you do good. In some instances you could even end up injuring yourself. Another reason to let the pros handle things is insurance. When you start tearing out cabinets or knocking down walls, you never know what you’ll find. If you flood your home trying to handle the plumbing, you’ll be responsible for the repair costs. When an expert at handling a kitchen remodel Los Angeles is on the job, their insurance protects you from any additional costs. That gives you peace of mind during the process and makes sure that you don’t end up paying far more in repair costs than your original budget included. You’ll still get to have plenty of input, of course. From choosing countertop styles and colors to making sure the type of cabinets are perfect, from selecting your appliances to deciding on the type of flooring you want, you’ll be involved in every aspect of the remodeling process. The only difference will be that you don’t have to worry with the hard work. Letting the pros take care of your remodel will save you a huge amount of time, money, energy, and stress and let you get exactly the kitchen you want without having to worry about the hassles. A New Roof for the Holidays Does Your Roof Stand a Chance This Winter?